Snowflakes are captivating for little ones even if it doesn’t snow where you live. 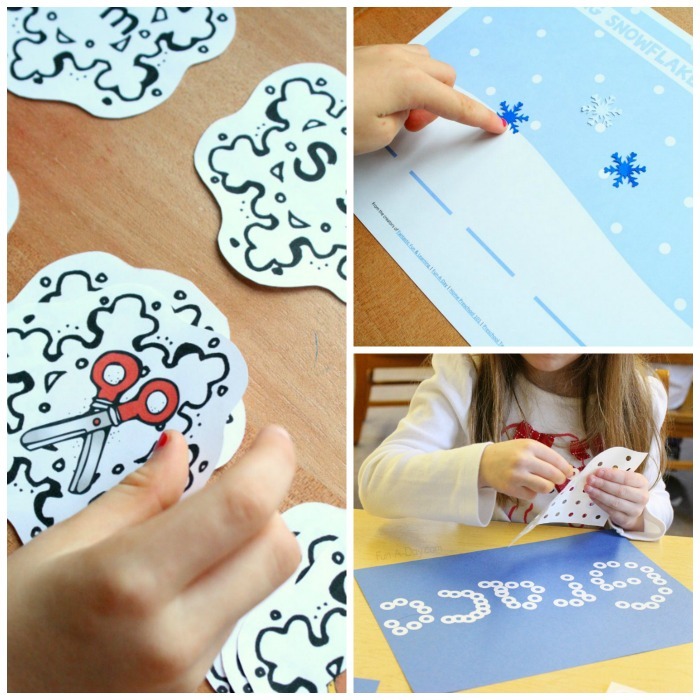 We always love learning about snowflakes as part of our winter theme activities. My buddy Mary Catherine of Fun-A-Day! 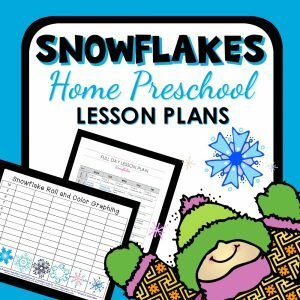 and I have been busily working behind the scenes to compile all of our best activities into weekly printable lesson plans for you to use in the classroom or at home. 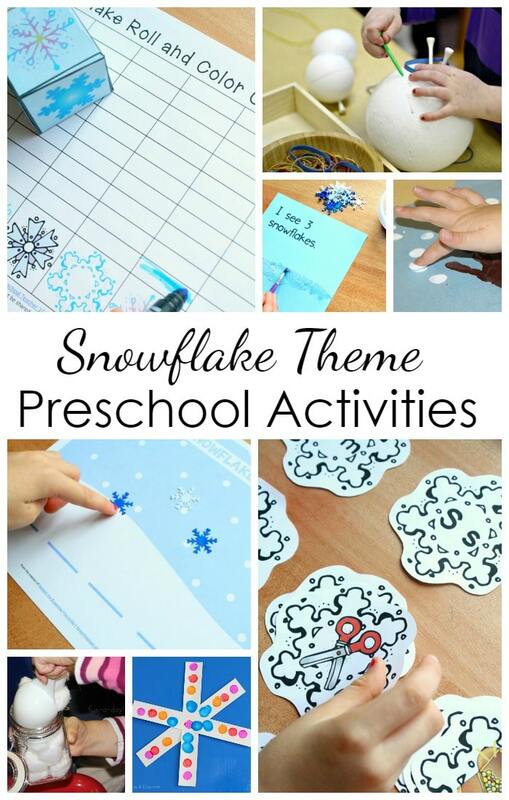 Here’s a glimpse at some of our favorite preschool snowflake activities. All activities described below (and more!) 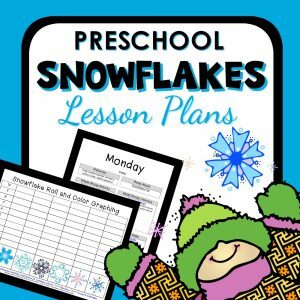 are available in our preschool snowflake lesson plans. Practice matching letters and objects with that beginning sound using the snowflake beginning sound set (left). This is a great way for kids to practice letter recognition, beginning sound identification, and vocabulary. Help kids learn to break down the sounds in words by moving the falling snowflakes (top right). Learn more about how we use these segmentation mats and download your free copy here. 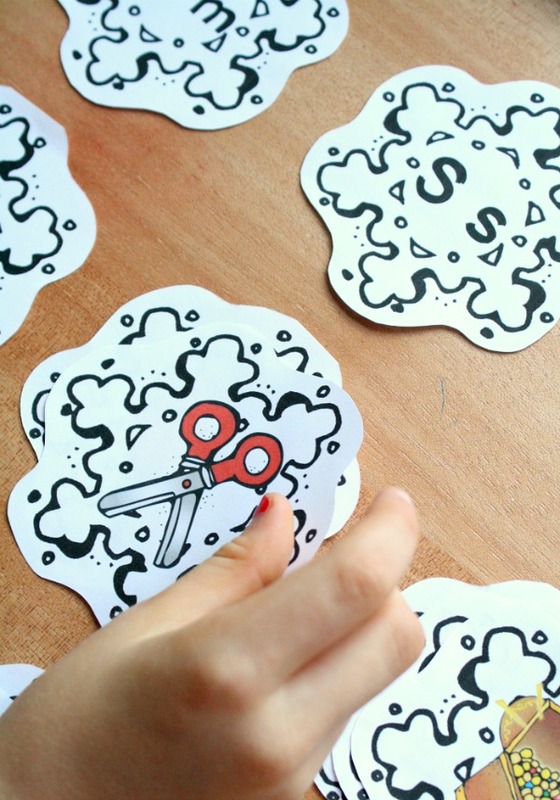 Use reinforcement stickers to practice forming letters, words, or kids’ names (bottom right). This is also great fine motor practice! 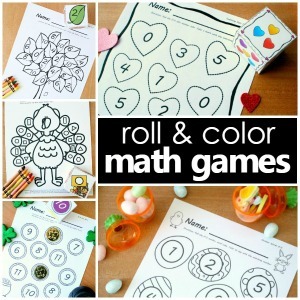 Kids love active games, so the roll and graph snowflake game (left) is always a favorite. Use it to practice matching objects, counting, and comparing amounts. 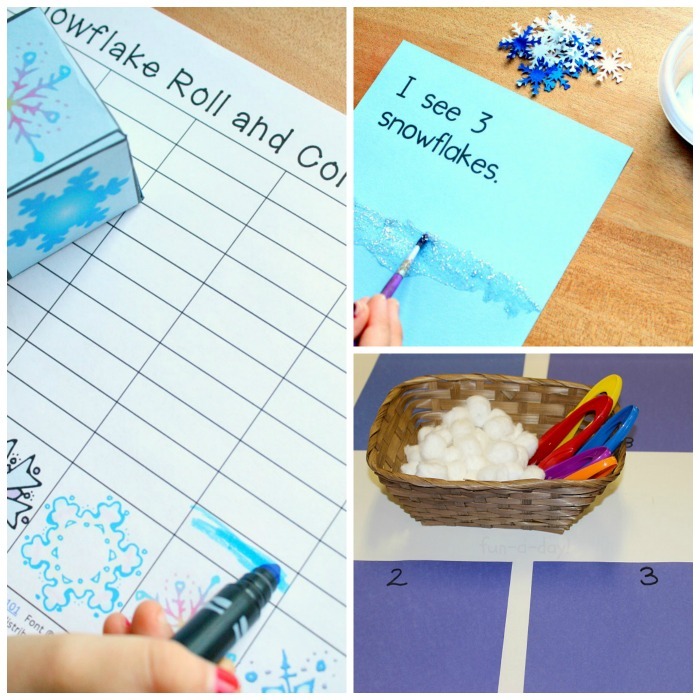 Combine art, math, and literacy in one project with the snowflake counting emergent reader (top right). Kids create their own winter setting. Add snowflakes to match the number in the sentence. Then practice reading! 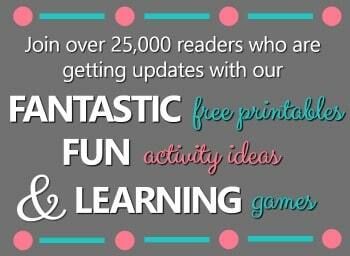 Grab your free copy of the snowflake counting emergent reader here. Cotton balls make perfect snowballs. Use them along with jumbo tweezers to practice counting sets of “snowballs” (bottom right). 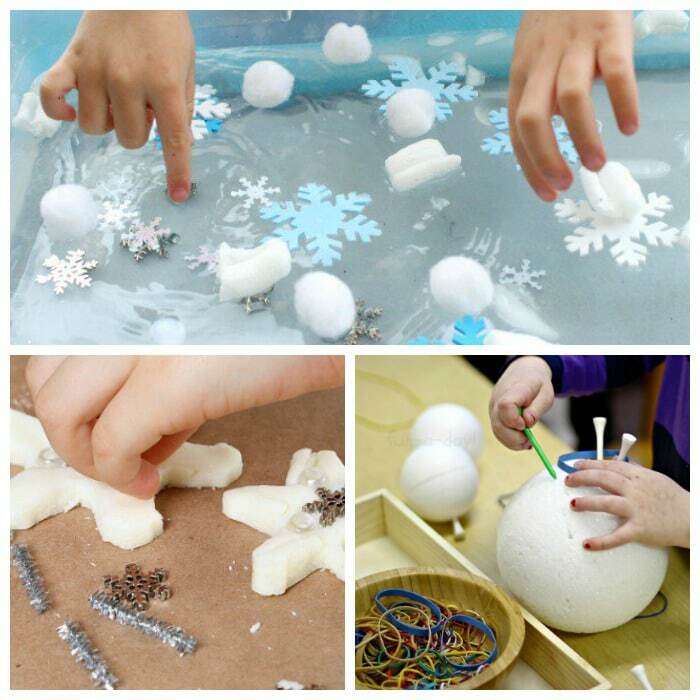 Even if it doesn’t snow where you live kids can enjoy some snowflake theme sensory play. We added snow-inspired manipulatives to our water bin (top), and the kids loved stirring up their own mini snow storms. Play dough is a wonderful tool to use for making snowflakes (bottom left)! Add some sparkly embellishments, and watch as kids get creative making their own unique snowflake designs. Have some STEM fun with some geometric snowballs. Kids love this open-ended engineering exploration with styrofoam balls, rubber bands and golf tees. 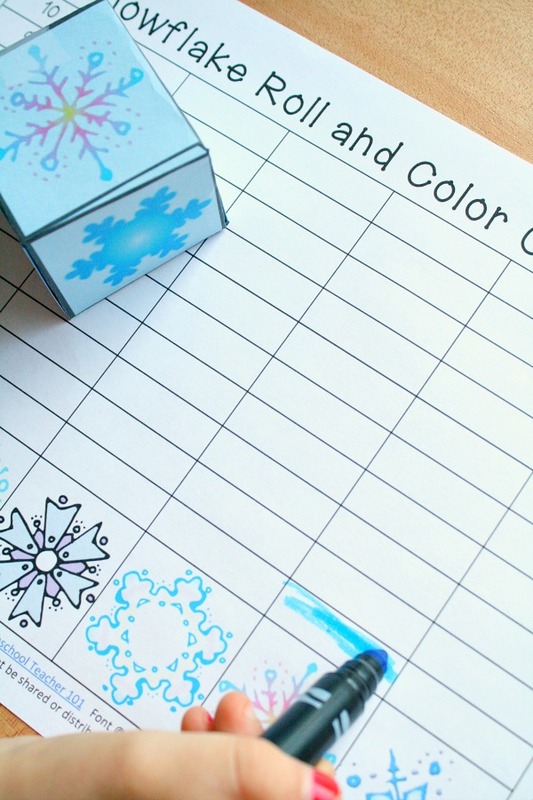 The snowflake roll and graph game — there are no links or printables associated with this. How do I get access to more information for this activity? Thank you!